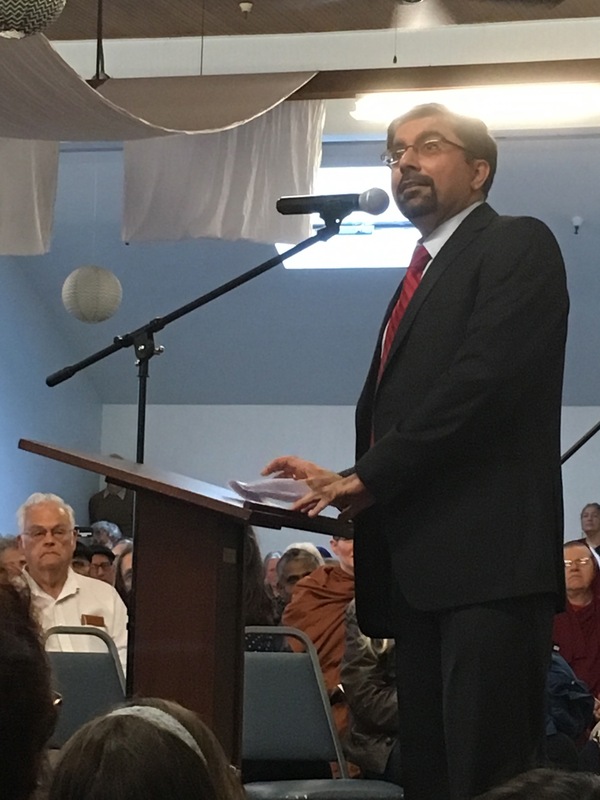 “Of One Soul” works to build a peaceful community in Sonoma County, California where Islamophobia and all prejudices are eliminated and the diverse human family is celebrated. 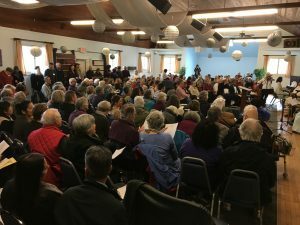 Welcome to “Of One Soul,” Sonoma County’s interfaith campaign to support our Muslim neighbors. Our goal is the safety and dignity of all people. “Of One Soul” provides public education, responds to current events, holds community gatherings, provides speakers, and mobilizes the faith-based community in support of the equality and safety of the Muslim community. December, 2015. An ad hoc interfaith group gathers in response to the increasing public rhetoric in the US vilifying Muslims. February 1, 2016. The ad hoc group, now working under the auspices of the Interfaith Council of Sonoma County, launches its “Friendship Not Fear” letter campaign, signed by over one thousand individuals and endorsed by many churches and synagogues. It can still be signed by clicking here. March 6, 2016: Of One Soul members, Rev. David Parks Ramage (First Congregational UCC, Santa Rosa) and Reb Irwin Keller (Congregation Ner Shalom, Cotati) publish editorial in the Press Democrat. March 11-13, 2016. Of One Soul declares a weekend of solidarity with the Muslim community, asking ministers and rabbis to address Islamophobia in their sermons or to use elements of Muslim prayer or text in their worship. Of One Soul creates clergy resource packets. March 13 2016. Of One Soul holds a gathering of over 400 individuals to learn, celebrate, and commit to having the Muslim community’s back. Presenters included local priests, rabbis, imams, and musicians, as well as a representative from the Japanese-American Citizens’ League. The keynote speaker was Professor Hamid Mavani, Associate Professor of Islamic Studies at Bayan Claremont. June 12, 2016. Of One Soul holds an interfaith memorial service after the shootings at Pulse nightclub in Orlando. June 28, 2016. Sonoma County Human Rights Commission passes a “Resolution in Support of the Inalienable Human Rights of Residents of the Muslim Faith and Celebrating the Contributions of Members of the Islamic Community,” drafted with the help and support of Of One Soul. Read the resolution here. July 10, 2016. Of One Soul presents “Getting to Know American Muslims and Their Faith,” led by Of One Soul member and ING trainer, Aisha Morgan. September 13, 2016. The Sonoma County Board of Supervisors passes a Gold Resolution “in Support of the Inalienable Human Rights of Residents of the Muslim Faith and Celebrating the Contributions of the Members of the Islamic Community, and Declaring Sonoma County as an Islamophobia-Free Community.” Drafted with the help and Support of Of One Soul. November 6, 2016. Of One Soul cosponsors with Commonweal a conversation with Sumbul Ali Karamali, author of The Muslim Next Door. Podcast of this conversation can be heard by clicking here. March 15, 2017. Of One Soul holds an Interfaith Witness in Support of our Muslim Neighbors. This gathering, protesting the Muslim travel ban, was held outside Santa Rosa City Hall, and included Muslim, Jewish, Christian, Buddhist and Sikh speakers, along with members of the Sonoma County Board of Supervisors, Sonoma County Human Rights Commission, and Santa Rosa City Council, along with Santa Rosa’s mayor. March 26, 2017. Of One Soul holds a panel discussion and teaching called “Paths of Harmony”, with representatives of five faiths discussing the values we share.